Flexepin is an efficient and secure method of adding funds to your account by using prepaid vouchers. Flexepin is a well-established and trustworthy payment method, as evidenced by the 4300 plus Flexepin sales outlets across Australia, as well as thousands more globally. For players who don’t have access to debit/credit cards or e-wallets, Flexepin is a fantastic substitutional option. Flexepin is operated by Flexewallet and is offers is available in Australia, UK and Europe, under the full regulation of each country’s respective commissions. Players are able to easily fund their account on Mongoose Casino mobile using Flexepin voucher. The simplest way to obtain a Flexepin voucher is to stop by the Flexepin store closest to you. Click here to find the nearest Flexepin store within your vicinity and purchase a voucher. Vouchers are available for purchase in the following denominations: £20, £30, £50, £100, £30 and £500. Each voucher contains confidential and unique 16-19 pin digits that only you will have knowledge of and can use to make online purchases. You have the option of topping up your voucher or buying another one using the same method described above. 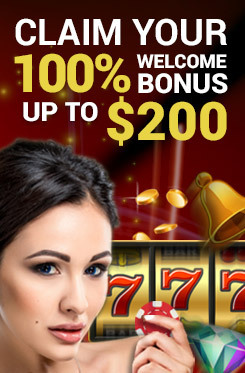 Once obtained, you can then make online payments using the vouchers, or fund your Mongoose Casino account, in this case. Log on to your Mongoose Casino mobile account and click on ‘Deposit’ on the top right hand side of the screen. Select ‘Flexepin’ from the list of payment methods and within ‘prepaid card’. You may choose a welcome bonus on your first three deposits. This is optional, however. Now you must enter the 16-19 pin digit code on your Flexepin voucher and then the amount that you wish to deposit. Once the payment has been processed, your deposit will immediately be displayed on your Mongoose Casino mobile account. Please keep in mind that players are not permitted to make withdrawals of their casino funds using Flexepin. Players can make withdrawals through Bank Transfers. For more information on Bank Transfer Cash out, click here.